I will not feel in peace until my student says I got it. I come to know students from all over the place. Diversity which I enjoy most. Whenever I meet my students in their homes, I feel I am at home. I visited and worked in 17 countries, all continents except Australia. So I understand diversity very well. Daughter is more confident in a very challenging math class. I hired Alameddin a few months ago to tutor my middle school son in math. I am very pleased with him. Alameddin has a very kind and encouraging manner. He is very knowledgeable and explains concepts in a way that my son can understand. He can tutor students from middle school to advanced high school students. I can highly recommend him as a tutor. Great math teacher! He explains the math concepts well, and you leave the sessions understanding the material. Mr. Kaddoura is incredibly kind, thoughtful, and patient. He strives to put his students at ease and increase their skills and confidence. He has been tutoring our child for 6 weeks and we are seeing to benefit of Mr. Kaddoura's style and approach . We can expect further progress with his aid and our son's determination. Highly recommend. Lucky for us my son was perfectly matched with Alameddin. Alameddin contacted us immediately and was able to come tutor my son in precal that evening. My son has been meeting 1 session a week with Alameddin since the 2nd week of September. Alameddin is patient and able to explain and guide my son thru tough math problems. With Alameddin's awesome tutoring skills and my son's hard work, my son just ended the first quarter with an A! Thank you Alameddin! Mr Kaddoura was very helpful, patient, and supportive. He made himself available to answer questions even via text as well. We appreciated his help very much. Alammedine is a wonderful and highly knowledgeable tutor with many years of experience tutoring all types and levels of students. He is always my first call when I need a helping hand! Mr. Kaddoura helped me with speed on tests and encouraged me to write out all steps of a problem. My grade increased 2 levels with him. He's very patient and kind. He is a very patient teacher who give opportunities to his students to excel and improve their own skills. He is available for his students to reach out for him to assist them solving any difficulties most of the time and more than any other teacher .My daughter to loves to solve math with him. 5 Stars seems too few for Alameddine! He is ina word, amazing! He has been working with my son for two years, keeping him on track in honors Alg II and honors trig/pre-calc. 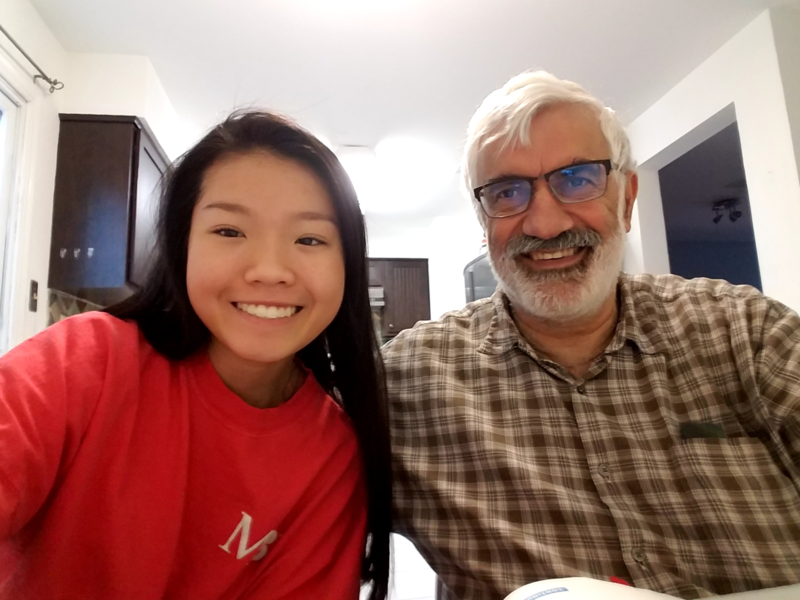 Alameddine is a patient, intuitive, and an all-around terrific math tutor. After each session, my son is not only more confident with the material and upcoming assessments, but is also excited by what he learned. The proof: A+ in both classes. Mr. Kaddoura is an excellent Tutor . I can see my daughter is understanding and making progress! My family has worked with him for over 2 years. We can say, without reservation, that He always goes above and beyond to ensure that my daughter understands the various concepts. We’ve had other tutors before him, and can confirm that he’s the absolute best.